United States - General Nicholson has said that the United States is aware of the fact that Russia is trying to overthrow the efforts of U.S. military in Afghanistan for several years. General John Nicholson, head of the US military in Afghanistan, has accused Russia of trying to make Afghanistan an unstable and creating differences between the US and its allies. General Nicholson has been the head of U.S. Army and 'Resolute Support Mission' in Afghanistan for more than two years and now they are going to retire from his services on this Sunday. On August 22, General Nicholson briefed the journalists on Afghanistan's affairs in Pentagon, in which he has accused Russia that he is involved in trying to eradicate the situation in Afghanistan. 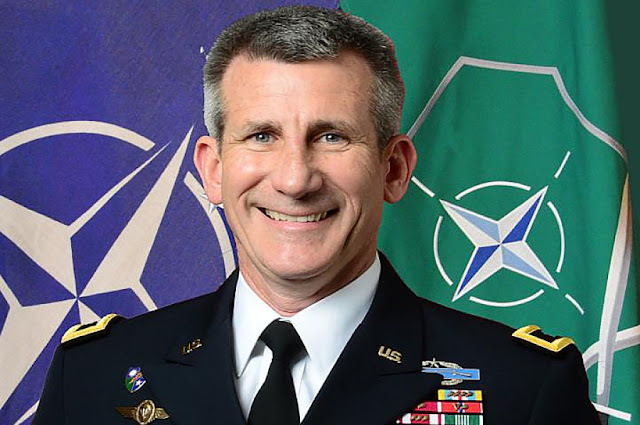 According to the US General, it is a matter of fact that Russia has not missed any opportunity to create differences between the US and its Central Asian allies, including Afghanistan. United States and Afghan officials have repeatedly accused Russia's interference in Afghanistan's internal affairs and allegations of arms and training to the Taliban. Whereas Moscow government has denied the allegations and said that its position has only been political relations with the Taliban. But despite Russia's statements and clarifications, America and its allies suspect that Russia is taking all possible measures to increase its influence in Afghanistan and in the region. Recently, both the US and Russia have been trying to start negotiations between the Afghan government and the Taliban, and both have tried to mediate or host them. During the recent months, the Russian government has repeatedly accused that there are some elements either from the United States or Afghanistan that is continuously helping the ISIL fighters in the northern areas of Afghanistan near Russia. Till now, United States and Afghanistan has rejected such accusations of Russia.